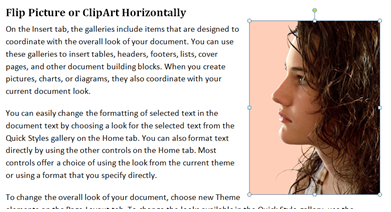 How to flip a picture or clip art horizontally. This process shows This article shows Office 2016, but the process also works in Office 2010-2013. 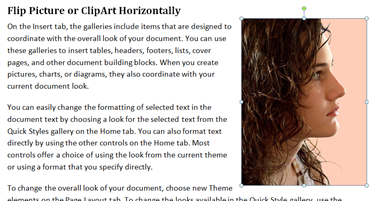 Step 1:Select the picture or ClipArt in your Office program. 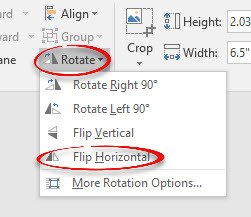 Step 2:Under the Format tab, click Rotate from the Arrange group and choose Flip Horizontal. Step 3:The image will appear flipped.